I think that's a reasonable explanation. Still, I think they would do well to have a six-speed auto for the smaller engines too. I'd guess that they looked into the future and saw that CVTs were going to be the way to go. Since a new transmission family would be expected to have a 'shelf life' of 10-15 years, they probably didn't want to be doing a 4 cyl 6AT in 2025. From what Jeff at TOV has said, the new family of Earth Dreams CVTs work pretty good. I guess we'll have to wait to see IF this gets these new trannys at all, and then we'll have to wait to see how they feel. Personally, I have an open mind. The promise of CVTs is there, I just never liked the way the engine never 'revs' up. In my heart I understand that keeping the motor in it's sweet spot has benefits, but I want to feel the engine 'pull' through the range. Of course, I'd MUCH rather see the 6MT from the CR-Z in the Hybrid and 2.0.
thanx for the vids! i can see they finally addressed headlights. it's got those Audi-esque curves inside the headlight assembly. Based on the little information that we know about the ILX, I think I'd still prefer my TSX. The ILX is based off the Civic platform. Even if it's a totally different car, it should be approx. the same size as the Civic.... too small for me. And the Accord/TL size is too big. The TSX size is in-between and perfect. That's a tall and short car! I think the IXL being shaped like the IS, is a good thing. Unlike most of the current, still born, Acura offerings, the IS is multiple years into this generation, and it still looks good. Perhaps Acura has learned its lesson. There is still plenty of time for them to screw it up but right now I am going to hope they stay true to the concept as it does look pretty good. Only problem I see is the concept appears to use 18in wheels. Concepts always use bigger wheels than production. Seriously Acura enough with the 17s already. According to the dimensions here: http://www.acuranews.com/channels/ac...onal-auto-show, the ILX appears to be only an inch shorter than the IS. I thought they made it pretty clear a few weeks ago that CVT's (and MT's in certain applications) are the way of the future for their 4 cylinder vehicles. That has to be the 2.4 MT. The Si is 22/31. The added weight and possible 10 extra HP may account for the difference. whoever said the beak is getting better (aka looking less like a beak). I think it is ok, but generic looking. I'll take generic over the hideous beak everytime. Plus the proportions of the cars are getting back inline...unlike the sad 4G TL. +1, I have the factory shop manuals for my 05 TL and a 07 Civic. Both transmissions look virtually identical with the cutaway schematics, so I'm guessing the 4 cylinder 5AT is just a scaled-down version of the V6 J-series 5AT. 2.4 engine with 6AT would have been far more impressive. or a 4 banger with a turbo. does acura not understand that the looks of their vehicles are not the only thing they need to change? Like the rest of the industry Honda doesn't want to give out too much of the new stuff on the entry level car. So most of the new stuff will likely debut on the RL (and Accord) and then trickle down. BUT, what will the new 4's be capable of. We know the new 3.5 is good for at least 312HP. But all we've heard about the new 2.4 is at least 181. Will there be a true performance version of one of the new 4 cylinders? Something with 220+HP. Or is Honda simply destined to make all their performance versions Hybrids? I'm not at all clear on where they're going. It certainly is a better looking car than the TSX. I'll give them credit. It doesn't look like they just rebadged a Civic (thank God). But I would never pay $30k for a Civic, no matter how nice it is .. I don't see anything wrong with it being based on a Civic if it's sporty and luxurious. Platform sharing doesn't make it a bad car. And no one was expecting it to have SH-AWD. I think it looks good. They need to split up the TSX/TL/RL a little bit and make a bigger difference between the three. If the price is going to be right as mentioned above, this will be a hot seller. FWIW, 5AT is the same number of gears as a Macbach 62. My long-term hopeful guess is that Acura will finally answer our calls and push the RL into the uber flagship market to rival the LS, A8 and 7 series, TL moves upmarket to compete with the M, A6 and 5 series directly. 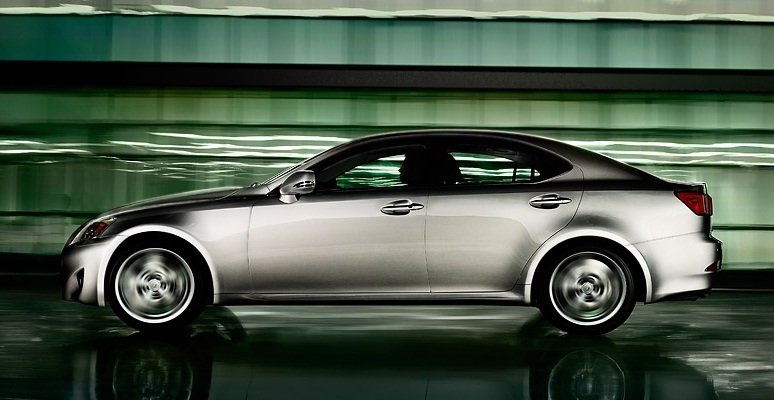 TSX stays exactly where it is with the ILX staying exactly where it is. I would go far as to say the ILX could compete with the A3 and the TSX to compete with the A4 and 3-series. Longterm would be another cycle or 2 of products down the line b/c Acura already stated that the new RL will be a mid-sizer w/ "full-size" interior room. 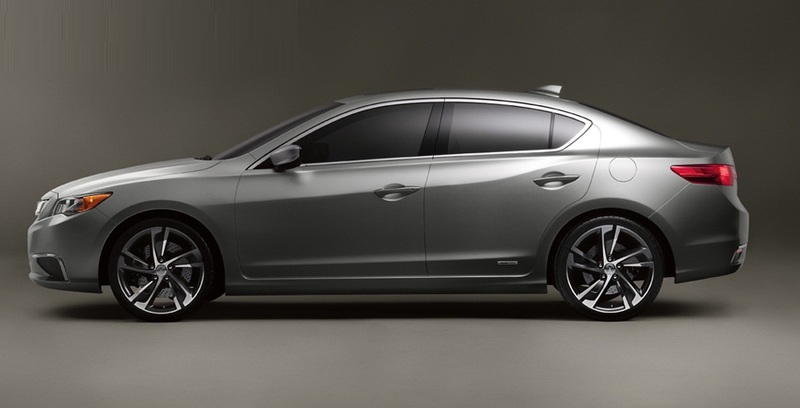 The ILX actually has the sleeker shaped greenhouse; the one for the IS looks truncated in comparison. The side and rear are the best views; the front is OK.
How is it any different from the TSX (Euro Accord) or the TL which rides on an Accord platform? The Maybach is being discontinued. This doesn't help the case any. I was not aware of that, kinda always wondered when they would discontinue it. The fact that the Civic and the ILX share a platform or that the platform is Civic based is an interesting point that can and is used against Honda. However, it says nothing about whether the platform itself is good regardless of what car its put in. The same can be said for many other shared platforms. If I were Honda, I'd be saying that the Civic is based on the ILX platform or something to that effect. Make the Civic the 'beneficiary', as opposed to the source of the platform. Just thinking about it as an unbiased, new to Honda person, why would I want my luxury car to have economy car underpinnings? Its difficult to get around that perception. Last edited by CarbonGray Earl; 01-10-2012 at 01:46 PM. For arguments sake, a 5AT in something with gobs of torque over a broad area of the curve is much more acceptable than a 5at in something you have to wind out. With such little sweet spot, I need more ratios, and I need them to be fairly close. doesn't A4 have 6AT or even 7AT? Think so....don't know. Before I read too much into the point you are trying to make, what point are you trying to make? MB/BMW/Audi has implemented 8/7 speed in 4 cylinder with DI. Toyota 6speed Auto with 4 cylinder. ILX problems are much beyond engine/transmssion. The door handles are pretty low and not chrome platted. The rear is truncated. There is no mention of bi-xenon Active cornering lights or trailer stability assist from Euroaccord. The car just dont look next generation. A design from 2005 when current IS came out. but IS got two MMC. Even using 2.0L engine car will start losing money as that engine is not used anywhere else in USDM models. and cost of R&D on souped of Civic will be not be recovered. The could have just rebadged Euro Civic. I'm not sure that's true; do you at least agree that some sharing is better implemented than others? MDX is part of Honda's truck platform shared with Odyssey/Pilot/MDX/Ridgeline. Although the floorpan tooling is separate for the non-SUV's they are extremely similar down to the four large structural box sections that run length-wise. Almost all of the suspension components are also shared or variant based. We all know alot of us on these forums get into Honda's lack of innovation lately but the Honda truck platform was really innovative having such a wide product family range (minivan to SUV to truck) for hybrid uni-body chassis's. Last edited by Legend2TL; 01-10-2012 at 04:25 PM. Your right on about the sweet spot, my 500 Honda sport motorcycle has 6 gears where as the larger 750 model only got 5 gears. The reason for the 5AT in the Maybach and AMG V12 models was the 7AT could not handle the tremendous torque. The SL65 and S65 both used the same basic MB 5AT. With a flat torque curve and all that power there was no reason for the 7AT. Last edited by Legend2TL; 01-10-2012 at 04:33 PM. I still like a frame on a chassis. My point remains.... it's not exactly a $30k Civic. Many manufacturers share components, platforms included. It's not like they start over entirely from scratch for new models. proportions are great. nothing major to criticize here. 25k, it will sell well. i feel like many people that get into TSXs to begin with are extending their budget a few thousand to get into a higher tiered japanese car (acura)....this ILX should do quite well. infiniti should do the same. the G25 still leaves room to play for a smaller sedan at a lesser price point. If you have a good solid platform, why not use it as the underpinnings for another vehicle? All the astons come off of a shared architecture, and GM is using the Zeta platform for a variety of sporty underpinnings, and as for Honda, we all know that the civic has a good platform, so for a vehicle of this size it makes plenty of sense for them to use the civic platform over the Accord platform (which serves a large variety of vehicles). But everyone, even members of the automotive press, are running around like headless chickens saying "omg its an acura civic." Whats wrong with 17's? I don't like the added weight and cost of larger than necessary wheels and tires. Not to mention the fuel economy penalty. Let them offer accessory 18, 19, 22's etc. Last edited by Ken1997TL; 01-10-2012 at 06:49 PM. So if Honda manufactured a two door vehicle called the Integra, it offered lots of value and style and was priced at $30,000 you wouldn't take it?